The special election to replace Mayor Chokwe Lumumba after his untimely passing—just eight months into his term—has been one of the most remarkable Jackson mayoral races in our memory. Perhaps because they're unfettered from the need to run a long campaign and face the prospect of hundreds of thousands of dollars to be competitive, we've seen the most impressive field of candidates for mayor since the JFP first published in 2002. 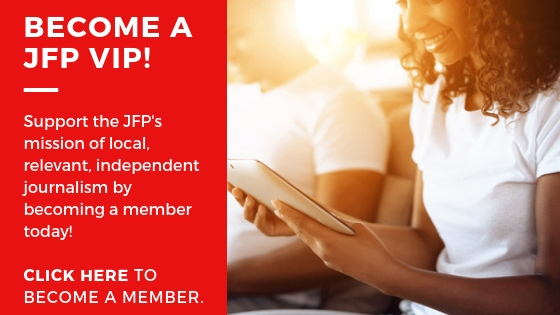 That said, the compressed campaign schedule has meant a lot of work for the JFP staff—knowing that we wouldn't have long to research each candidate, a service we believe is important for our readers, we set up and recorded personal endorsement interviews with seven of them, which you can see at jfp.ms/jxnmayor_video in their entirety, in order to add to your resources for making your decision. Other candidates were sent a detailed questionnaire; we are adding answers to that link if and as they return them. This wide field of candidates made our decision a tough one. We've got youthful candidates, experienced candidates and some serious community leaders who might not otherwise have been interested in running a full-season campaign. Looking back, we realized that this endorsement represents the first time we have ever endorsed a candidate for Jackson mayor other than former Mayor Harvey Johnson Jr. In his endorsement interview this week, we were reminded again of his knowledge of city administration and his character as a leader. If Johnson isn't elected mayor, we sincerely hope that whoever is elected will reach out to him for advice and guidance. One of Johnson's most poignant comments this cycle was one that connects the dots that a "senior statesman" tends to see from a higher vantage point—the need to use the Jackson bully pulpit to convince the State of Mississippi to expand Medicaid. Expansion would offer a double benefit—it would help Jackson cover many of its citizens and increase revenues and growth in our already vital health-care sector. This cycle also brought us innovative thinking in the form of Councilman Melvin Priester Jr.'s candidacy; Mr. Priester clearly has a strong future in Jackson—and, perhaps Mississippi—politics. (An endorsement from U.S. Rep. Bennie Thompson doesn't hurt.) We're pleased to hear him hit hard on the idea of citizen-first development efforts and his focus on technology—predictive policing, crowdsourcing, business incubation—for solving pressing problems. We've long called for the forward-thinking approach to economic development that he articulates—build your city for its citizens and the tourists will come; not the other way around. If Priester doesn't win this seat, we know he will keep fighting for these principles and continuing to push Jackson to innovate from his first-term seat on the City Council, because these things are clearly in his DNA. Councilman Tony Yarber is a formidable candidate—a success story on the council and a powerful, personable leader with good ideas about bringing more accountability and transparency to city government and development. He has strong opinions on who needs to stay and who needs to go; if he's not elected mayor, we will rely on him to remain a force for Jackson's future. Councilwoman Margaret Barrett-Simon's service to Jackson is unquestioned, and we admire her skills at getting to the heart of the problem and bringing people together over the solutions. She rightly points out that her ward has experienced a great deal of development and that she's represented a diverse ward for a long time. If she isn't elected mayor, we hope she'll continue her service on the council as a clear voice of reason and a determined advocate for progress. Sen. John Horhn is clearly an advocate for Jackson and already a major driver of success for the capital city. We like his idea that we need to find workable solutions to get past state and federal gridlock to get grants and dollars flowing to the capital city. His connections, solutions orientation and ability to "cross the aisle" would serve Jackson residents if he's mayor, and will hopefully continue to serve us if he remains a state senator. We discussed attorney Regina Quinn a great deal in coming to our decision; we like Ms. Quinn's no-nonsense leadership style, her fresh take on women's economic status (we agree that this is an overlooked and under-appreciated solution to Jackson's economic future) and her real-world experiences; she's handled both challenges and successes. If she isn't elected mayor, we sincerely hope that the new mayor will reach our to Ms. Quinn as a key adviser—we believe she could prove an extremely valuable asset to City Hall. In reaching our decision to endorse Chokwe Antar Lumumba, a phrase we kept returning to was "the will of the people." What his father brought to Jackson in his short time as mayor is hard to quantify—but "hope," "pride" and "unity" are all words in the mix. We asked each mayoral candidate to tell us what they thought Mayor Lumumba was doing well and what they would change if elected; most of the candidates pointed to Lumumba's ability to bring diverse people of Jackson together and to create a sense of unity that was lacking. Most of the candidates—including his son—said they disagreed with some of his hiring and appointments. The Planning Department and Public Works Department came up frequently. The fact that we lost Mayor Lumumba so early in his tenure certainly affected our view on this election. What we were interested in hearing from the candidates is how they would finish his term, and if they could provide continuity, accountability, strong leadership and maybe even inspiration. When we interviewed Chokwe Antar Lumumba, we were struck by two strong themes. One, Mr. Lumumba appears to have been raised from an early age to appreciate and model his father's approach to leadership and decision-making. While only 31 years old, he exudes a discipline and quiet determination that people many years his senior haven't mastered. His articulation of a framework for a "unity, debate, unity" style of governance is something we appreciated. Second, Mr. Lumumba clearly communicated differences with his father and a strong willingness to make his own decisions if he's elected mayor. He does represent a new generation of leadership—one firmly rooted in and respectful of tradition—and he affirms he will be his "own man" as mayor. Most importantly, Mr. Lumumba has promised that he is committed to continuing his father's work in transforming Jackson for all of its citizens. After careful consideration—and recognizing that there is risk in any choice—we'd like to give him that chance. And if the citizens of Jackson agree, the JFP promises to watchdog closely to make sure he keeps that commitment. Vote Chokwe Antar Lumumba on April 8, 2014. I'm apologizing on behalf of the editorial board that Mr. Lumumba's first name was misspelled above in an earlier version and will be in the print edition. All members of the board read the piece on deadline and did not realize that the writer had misspelled "Chokwe," which we are embarrassed about. And we promise that we know how it's spelled after all these months of covering his father. Again, we all apologize, while hanging our heads in shame at such a goofy error. That's my bad. I wrote the draft and I'm a little notorious for my spelling errors. (You should see how many times I've screwed up "Horhn" in the past few weeks.) I apologize to Donna and the staff for making them look bad and to Mr. Lumumba for the error. You guys do such a great job that you're entitled to one mistake. At least, you admit to them and move on. As for the endorsement, Mr. Lumumba is not my first choice. I don't have anything against him; I just don't know anything about him. You're definitely right about having such a field of good candidates, and Mr. Lumumba is a reason for it. If he becomes mayor, I will do what I can to support him and pray that he will do a super job. I, too, support your choice for mayor. Yes, we have seen an interesting and diverse field of candidates in this race under sad circumstances. I hope Yarber, Priester, Horh, and Quinn will be considered as advisors. But having known our late mayor for a long time, I'd rather take a chance that an honorable man has raised an honorable son. I do remember what Jackson used to be under Danks and Ditto. Sending virgin homeowners to South Jackson was a big mistake. They have destroyed our neighborhoods and quality schools. Furthermore, we can't chance the city's funds to continue go into someone's pocket . Young Lumumba may not be a politician but he won't be a thief. I, to support Mr. Lumumba, as I supported his father. Today is a good day for the city and citize ns of Jackson. With the Momentum started - and the wind at our back, we have only a glorious future to look forward to. On that note we should also look toward the upcoming Circuit Court race for District 7. The only real choice for the progressive future of Jackson is Judge Ali Shamsiddeen. "Capital ideas from the Capital city!" I am very disappointed that JFP is endorsing Antwar Lumumba. Antwar Lumumba is NOT his father! I went to the debates and of all the candidates Antwar had the LEAST clue as to how he is going to get the city that we love back on track. Every difficult decision Antwar was asked he responded by saying, "We will leave that to the people's assembly, or the experts" or some biblical jargon avoiding answering the question completely..
And I was particularly offended when Antwar Lumumba bragged about the fact that he had gathered some "people from Massachusetts and Harvard grads" for the Farish street project. WHAT ABOUT OUR OWN people to work on these projects like JSU, Ole Miss or Tugaloo students????! JFP wants to endorse Antwar but hopes that Yarber continues to dedicate his hard work and leadership to the city??? DOES THAT EVEN MAKE SENSE???! Why would you want to hire a beard for mayor but pray the best man for the job continue (Yarber) his daily task of making the city better. JPF needs to reconsider and I urge you to actually listen to the debate without all this biblical jargon, catch phrase responses and consider which candidate actually has an abstract plan for the city. WE WANT A PASSIONATE LEADER, A LEADER THAT HAS BEEN IN THE FIGHT, THE REAL PEOPLE"S CHOICE AND THAT"S TONY!!! Really? So in the 5 years Yarber has been on the council did he do the leg work that Priester has done in the few months that he has been there regarding the HUD money? Also are you saying that we in Mississippi have nothing to learn from those outside the state we have all the experts? I believe in using our own people first and Chokwe Antar has said the same but to act as if we should solely rely on our own local people for council is a recipe for failure. That said have you read Antar's platform? It's far more in depth than Yarber's. Why would we not want to elect someone with a better plan to the office and ask that other person who is dedicated to the city continue to serve? If they are in this work to make the city better and not serve their own ego they will do just that. There are no small jobs only small people it is said. 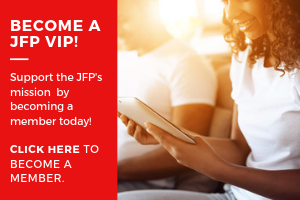 I can't speak for the JFP editorial board but I don't believe their choice was based on the debates indeed if you had been reading this site you would have seen the hour long in depth interviews the JFP did with each candidate which they noted was one of the main factors in their decision. Perhaps you should watch them. Yarber is a proven leader ON HIS OWN MERITS not popular from sympathy votes. The last time America chose a leader based on association to his daddy we had 3 unnecessary wars where thousands of US soldiers died and went into recession almost twice (thank GOD Obama was voted in to dodge the last recession)..... JFP should learn from this that this is not a sympathy vote ...We need a real leader and that's TONY YARBER!! A major reason, but not the only one, for endorsing Mr. Lumumba is that he has walked the talk on transparency throughout this campaign. Others talk about the need for it; he and his team return texts and phone calls, and not just about what they want us to know. I get no sense that he has a thin skin when it comes to criticism and being questioned, which is a strong indicator of people not to elect. It is not a job for someone with thin skin or for someone who only wants to use media when they need us, but won't return calls or be transparent otherwise. They know who they are. We've had several conversations--in person, when he called to thank me for the endorsement and via text. All of those conversations are about ideas bigger than himself. I get no sense that ego will get in his way of trying to help "the people" (all of us). And this is a rare quality in a politician. I don't need to get into more specifics on any of these points, but put them out there to say that we thought and discussed long and hard about this endorsement. I truly believe that Mr. Lumumba is the best person to be elected mayor at this moment in our history. I urge all of you to vote for him tomorrow. Like with his father, I believe that he is going to surprise his detractors in ways that his opponents will not. @kenjxn "I want a Mayor I can trust to be open, faithful to the city, sober, dedicated (not one that jumps ship)"
To be honest, that was the kind of Mayor this community had in former Mayor Harvey Johnson. He, too, knew the struggle and he gave the city experience we could trust. Lumumba gave two things to the citizens: A 1085 increase in water/sewer bills and a 1% sales tax increase that is governed by a "Comission" and where the Council has only 3 votes. The gov. has 1, Tate Reeves has one, The Speaker of the House has one and the other four are given to the Chamber. This is truly messed up! I want one person to tell me about this "VISION" laid out for the city by Mayor Lumumba. What exactly did he do? His son, Antar, complains about the people he hired. Does this mean that the vision was not being followed? What exactly is Antar expected to do? He can't keep saying, "Let the people decide." There is more to leading a City than making people feel good by the things we say. At some point, if the Lumumba Administration was based on some mythological belief and all secondary to his death, Jackson, again, is in BIG trouble. To be honest, that was the kind of Mayor this community had in former Mayor Harvey Johnson. He, too, knew the struggle and he gave the city experience we could trust. Lumumba gave two things to the citizens: A 108% increase in water/sewer bills and a 1% sales tax increase that is governed by a "Comission" and where the Council has only 3 votes. The gov. has 1, Tate Reeves has one, The Speaker of the House has one and the other four are given to the Chamber. This is truly messed up! Justjess, I can generally agree with you. However, Mayor Harvey Johnson took too long to get things done. And the reason we had such a big increase in water and sewer rates was because they did not raise them for years and years, playing into the Republican philosophy of "We won't raise your taxes." What happened? People did illegal hookups and stole water and sewer service and the infrastructure was put on "deferred maintenance" and the chickens came home to roost. Now, we current residents of Jackson have to "pay the piper." I think the Legislature is concerned about the lack of transparency of the budget and spending of Jackson, which was kept secret in the mayor's office under Johnson and even the council had difficulty seeing the whole of the picture. For instance, where are the franchise fees for the cable, telephone, gas, and electricity going every month? As of this minute, I cannot tell you how I would vote in the mayor's runoff. I can tell you that it would be extremely important for either one of these candidates for mayor to get the endorsement of Bennie Thompson and the business community of Jackson. Yarber is definately my choice for mayor. Tony clearly won the debate and has a realistic view for the people!!!!! !